We are one of the few auto body shops in the central PA region who offer camper and motorhome repair services. 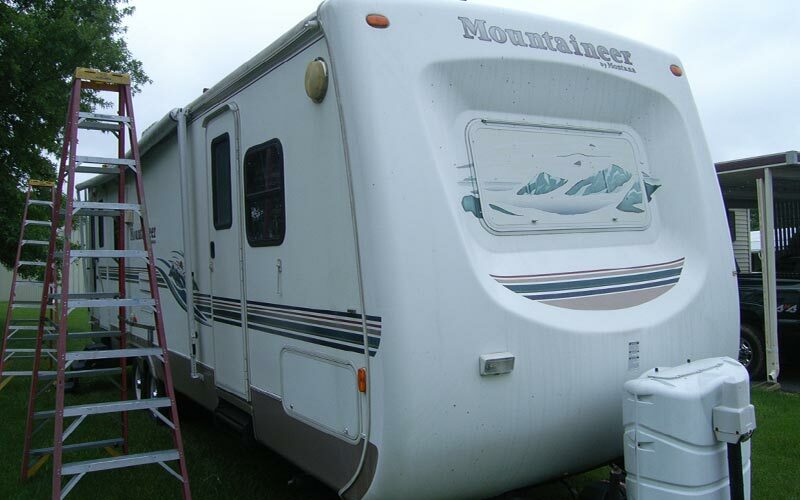 Noaker's Auto Body provides complete RV repair and maintenance services in Central Pennsylvania. You can bring your camper to our automotive service center in Duncannon, PA. We offer everything from professional paint refinishing to fiberglass repair to collision services. We understand your motorhome is your home away from home, so let our ASE-certified technicians get you back on the road and back to your vacation today. 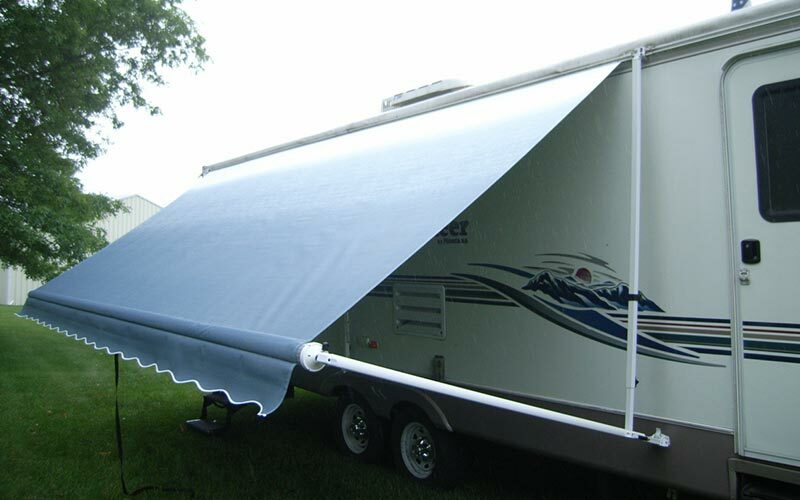 We provide RV awning repair and replacement, including mobile service. 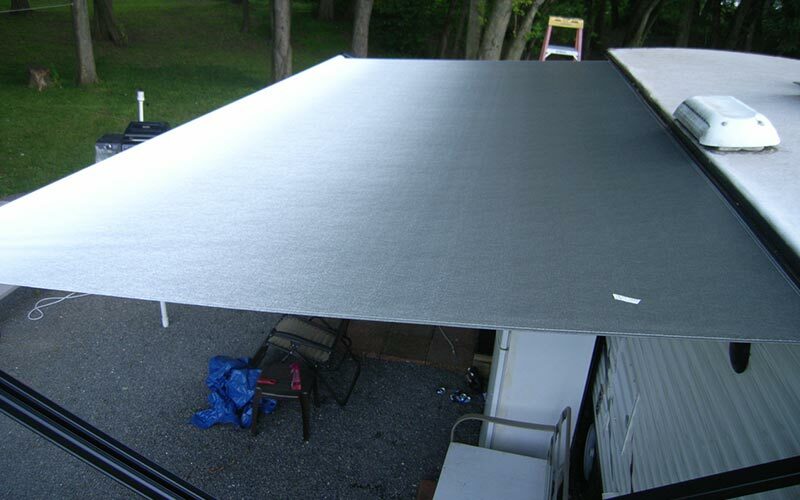 In the event you need a new awning, we work with the manufacturer to let you know what replacement options are available for your make and model. 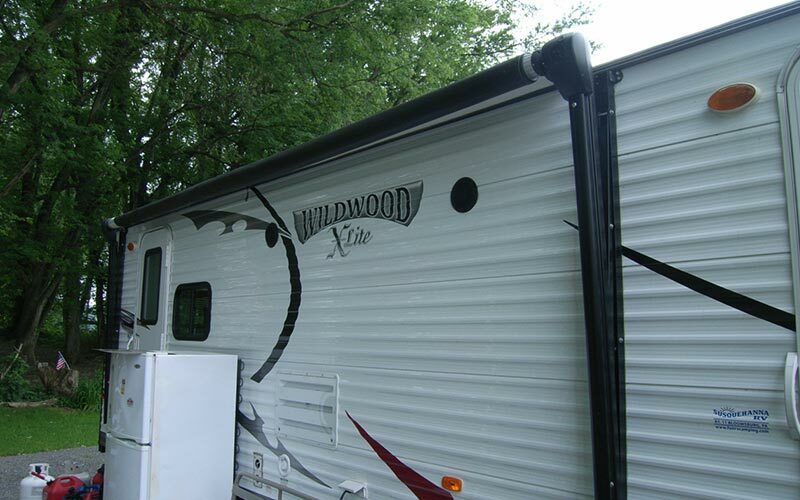 Mobile RV awning service is available anywhere within a 70 mile radius of our location. We work with all insurance companies to repair and refinish your RV to its pre-loss condition, so you're ready to tailgate at the big game, drive across the country, or go on your next adventure. We repair damage caused by automotive accidents, inclement weather, animals (such as deer or bear), vandalism, and more. Learn more about auto body and collision repair. We’re a trusted auto body shop that has been in business for over 19 years. We work diligently to provide you with quality RV and camper repairs in a timely manner. So go ahead and give us a call at (717) 834-6500, drop your motorhome off, relax, and pick it up! Did your RV windshield crack? Do you need a new RV window? ITG can take care of all your auto glass needs. Mobile glass service is available. We work with all insurance companies. Learn how ITG can help you. Did a storm damage your awning? We will travel to your location (within a 70 mile radius of our location) at your convenience to repair or replace your RV awning. We work with all insurance companies. Sometimes your slide out just won't go out or come back in properly. Let our qualified team review your problem and fix it like new again. Get the logest life and best performance out of your battery. Our RV Battery Kit provides the maintenance and protection you need to get the most value out of your battery. The kit has everything neccessary to clean your battery and take care of battery terminals. It neutralizes acid (BG) to prevent corroded terminals that can compromise the integrity and efficiency of your battery and charging system. Over time, headlight lens become foggy and don't shine as bright. We will polish your headlights with a specialized solution to remove the fog and restore headlight performance. We also provide you with the remainder of the solution for do-it-yourself maintenance in the future. Before you spend money on headlight replacement, talk with us about our RV headlight restoration service. We use AXALTA paint for all of our RV refinishing. We will skillfully refinish your vehicle so you have no worries about color match. We custom mix refinish products to match your original paint refinish from the manufacturer. We specialize in fiberglass repair. 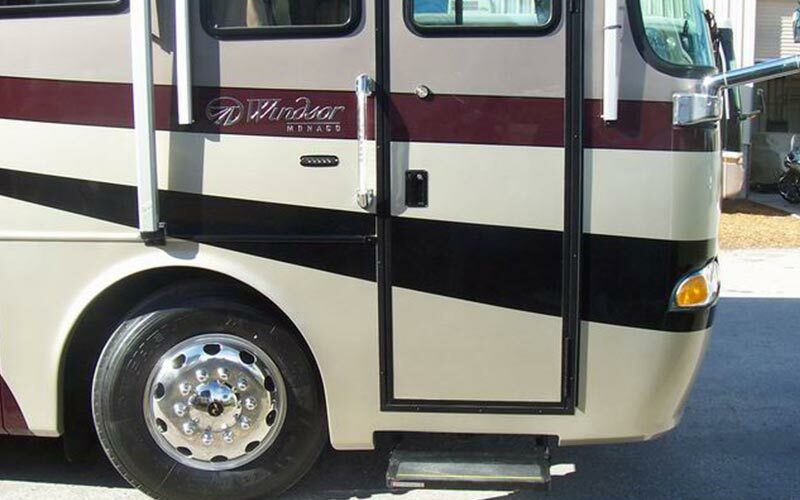 If your RV has damaged fiberglass sliding, contact our team for assistance. We also provide fiberglass boat repair. Corrosion is a silent vehicle killer. It appears over time due to oxidation. Rain and salt expedite its occurrence. 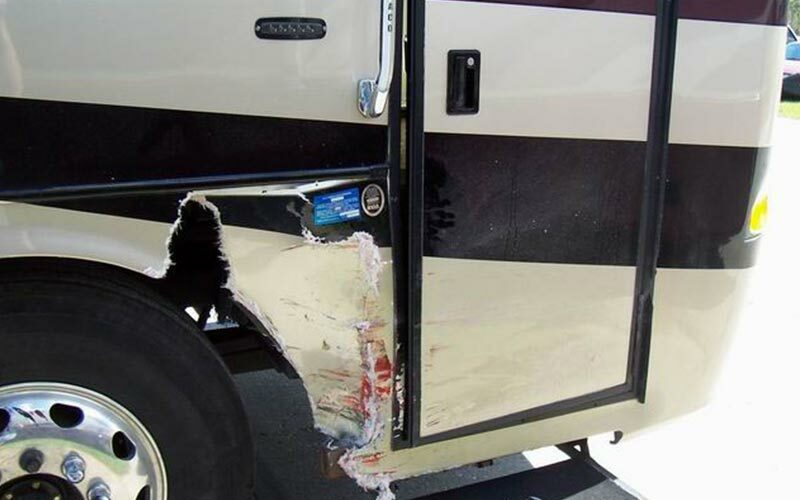 Don't let corrosion damage your RV. If you want to get the best performance and life out of your vehicle, talk with us today. Our technician are available for corrosion repair, including warranty work. Did you drive through fresh road paint? Contact our office for an estimate. We can help you through the claim process. Winter is coming. Will your RV last this season? Proper RV storage and preparation are important if you want your recreational vehicle to last. Get ready for frosty weather and/or extended storage with Noaker's Auto Body.